This R-Pod travel trailer model by Forest River is a great camping unit for a family of four. You will enjoy the extra floor space thanks to the single slide. 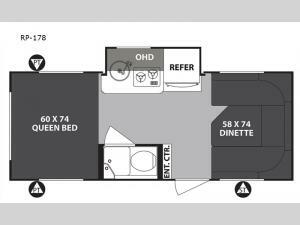 After you set up camp then come enjoy the comforts throughout this model, including a refrigerator and a two burner cooktop. 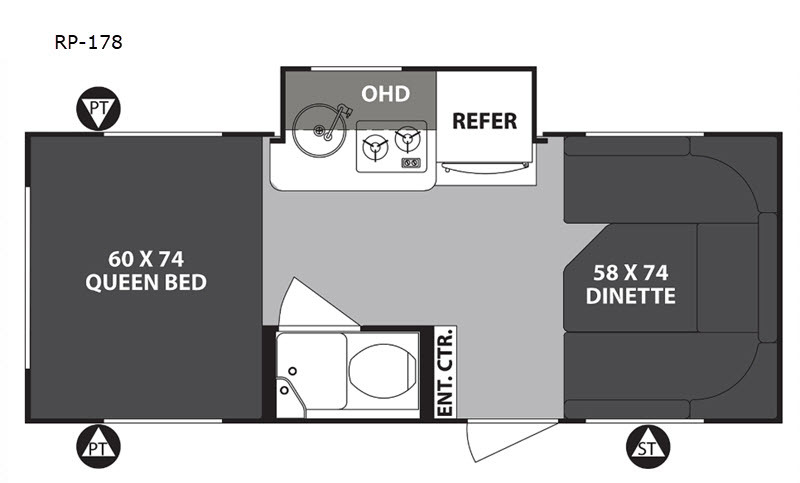 You can eat your meals at the 58" x 74" U-dinette and if extra sleeping space is needed then you can convert this area into a bed. In the rear there is a queen bed for a great night's rest. An added feature that is the handy is the wet bath, plus there is a pass-through storage!